Meet Marley! 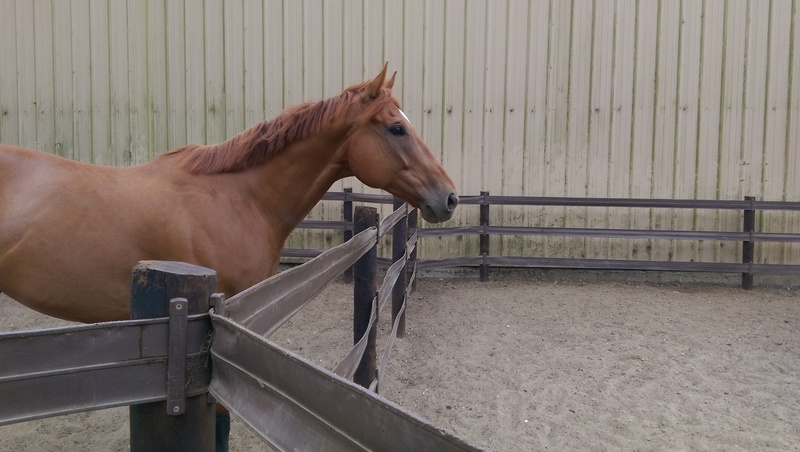 He’s an 8-year-old Thoroughbred gelding who was not a very talented racehorse but is extremely talented at eating carrots. A graduate of both CARMA and CANTER, he spent the first six months of 2015 in a field before I purchased him in late June. We’re working on gradually building a base level of fitness before hopefully graduating to some lower-level events or dressage shows.